B-School changed my life. My first holiday season, I quadrupled the previous quarter's gross revenue. Then I had my first six figure year. Before B-School, I was a more than full time manager at the Stanford School of Medicine, on the fast track to senior management for the school, but increasingly unhappy and unfulfilled. Crazy long hours, super stress, all the usual, but that six figure salary and fantastic benefits were hard to turn my back on. I’d started my little creative biz, Phydeaux, in January 2008, desperate for a creative outlet after earning my degree nights/weekends while working those crazy manager hours. 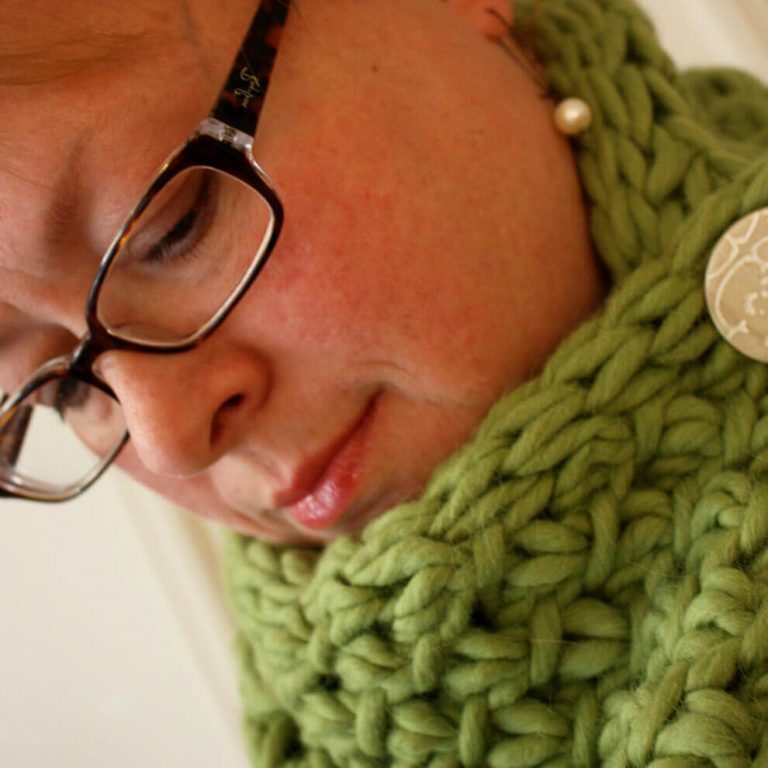 Phydeaux started as a hand knit business, selling scarves and cowls on Etsy. I think I grossed four figures in my first year, which is so exciting. But I was clueless with marketing and couldn’t figure out how to “get my name out there.” I learned so much my first couple of years selling online, but couldn’t find The Secret Sauce. I took a medical leave from my job and decided not to return. I couldn’t make decisions, completely frozen in fear of misstepping. I was so completely stuck, not able to move forward or even backward. I listened to all the wrong people. Worse, I spent every last penny I had, including my retirement fund, by the month that I started B-School in 2011. B-School changed my life completely. In a good way. I was terrified of spending the money, but absolutely knew that if I implemented the most crucial things I learned, I would at least earn my investment back. My first holiday season post B-School, I quadrupled the previous quarter’s gross revenue. I introduced hand dyed yarn, which I’d wanted to do, but was frozen in fear, and Phydeaux started taking off. Also during that time, I was struggling with life decisions while my mother was diagnosed with, then treated for cancer. My business continued to grown during 2012, while Mom’s health declined. I made the hardest decision of my life and gave up my life, career and friends in the San Francisco Bay Area – my home of more than 20 years – in order to care for my Mom and support my Dad while her cancer grew worse and worse. To live in a very small town with very few jobs, and none in my field. Phydeaux HAD to work as my full time job. I moved in Summer 2012, relying on effective marketing, and ended up more than tripling my previous year’s gross revenue. Mom passed away in hospice in early 2013. I won’t lie – this was a terrible time and my business suffered greatly. I was close to selling and moving back to the city, but didn’t want to leave Dad. So in a ‘make it work’ moment, we both decided to go all in with Phydeaux (Dad via his emotional support). I more than doubled the previous year’s income and had my first six figure year. 2014 was another challenging year. Dad and I now live together. We moved to a tiny community in the mountains. I’m so beyond grateful that I’m able to live with my Dad while generating the revenue necessary to live. I thought I might double last year’s gross revenue, for a $20+K year, and still just might, but I exceeded last year’s gross this summer, and can hardly believe it. B-School gave me the knowledge, skills, tools and resources I needed to create … a business and life I love. It wasn’t the life I was set out to live. But it’s the life I ended up having, and I couldn’t have done so without knowing how to create a business that moves with me. I’ve always struggled with self-confidence, but now always feel confident in HOW to do the things I used to be boggled by. Each year, I go through the program again and learn so much more. Now that we’re not moving anywhere for awhile (knock on wood – three times in two years is too much for me! ), I am so looking forward to deeper understanding of marketing and really immersing myself in copywriting and branding. I started out as a tiny Etsy shop. Always on the hunt for The Secret Sauce, to break the code to make consistent sales. I now know what The Secret Sauce is: marketing. For this I’m eternally and truly grateful, Marie. Thank you.